Over the last couple of years, Peak (formerly Arts Alive Wales) in conjunction with Powys Arts Development Service, while working closely with Powys High Schools, initiated Caban Sgriblio, a creative writing project for young people. It is particularly aimed at those young people who struggle with either a lack of confidence or interaction with their peers and /or adults. The workshops use poetry and a range of writing activities to develop pupils’ creativity and imagination. The atmosphere is relaxed and collaborative, participants are encouraged to explore ideas and images in the development of their unique personal voice.Those involved are identified by teachers as students who would benefit most from taking part. Each group consists of approximately 12 students. The emphasis of the project is to extend the imaginative capacity of the students involved and also to encourage their willingness to communicate personal experiences. Vocabulary and language skills are developed and the students gain a knowledge of stylistic writing and experience of presenting their writing. The students also acquire an understanding of the role that communication can play and so may become more adept at expressing their views, resulting in an all round increase in confidence. If you would like more information about the Caban Sgriblio initiative, please download the leaflet below. What Our Students Have Been Doing? In the Caban Sgriblio creative writing workshop on Wednesday 17th January, our students were inspired by nature and walking in the Black Mountains, to mark the change in Arts Alive Wales’ name to Peak. The students rose to the challenge. 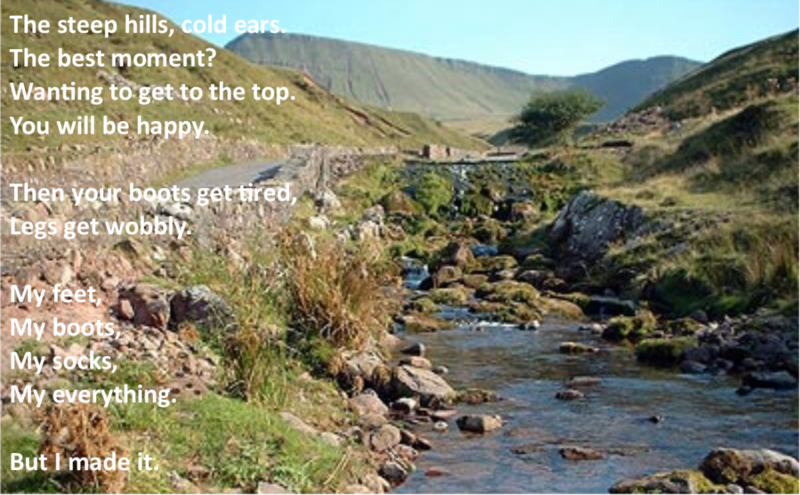 Here’s a poem written by Year 9 student, Kelsa Gordon, an energetic, dynamic poem capturing the effort and excitement of walking up the Black Mountains. The following poems were written by Jake Wise and Abbie Phillis in the Caban Sgriblio creative writing workshop held on Wednesday 31st January 2018. Here’s a poem written by Tia Brayfield-Smith during our workshop held on Wednesday 7th February 2018. 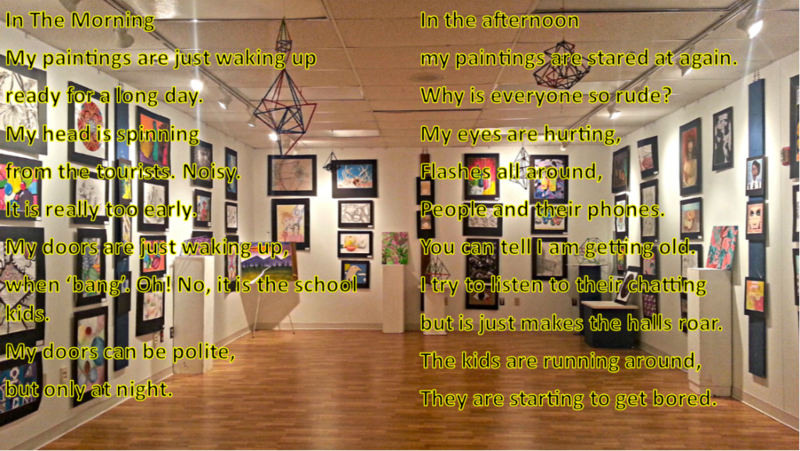 It’s slightly cynical disenchanted tone of the Art Gallery! 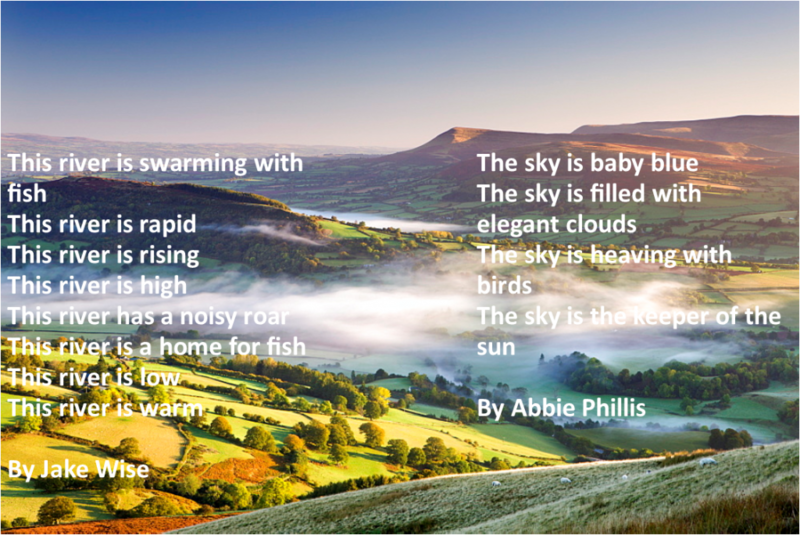 And here’s a rather beautiful poem written by Abbie Phillis during our workshop on 21st February 2018. 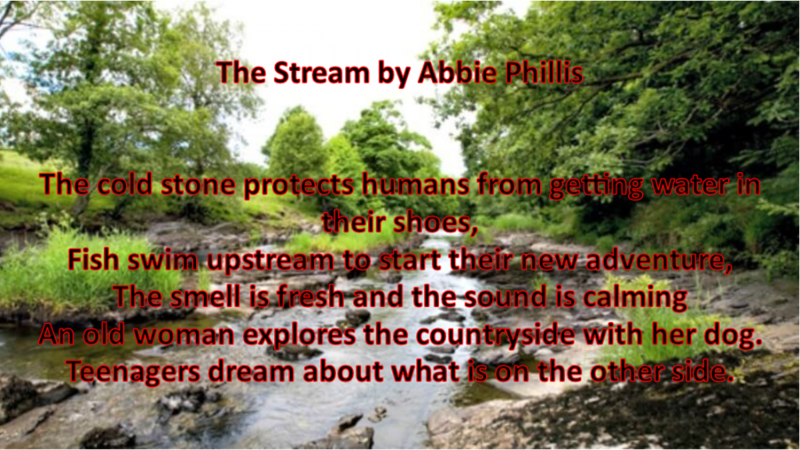 It’s called The Stream.